It's the marinade that makes this chicken so delicious. 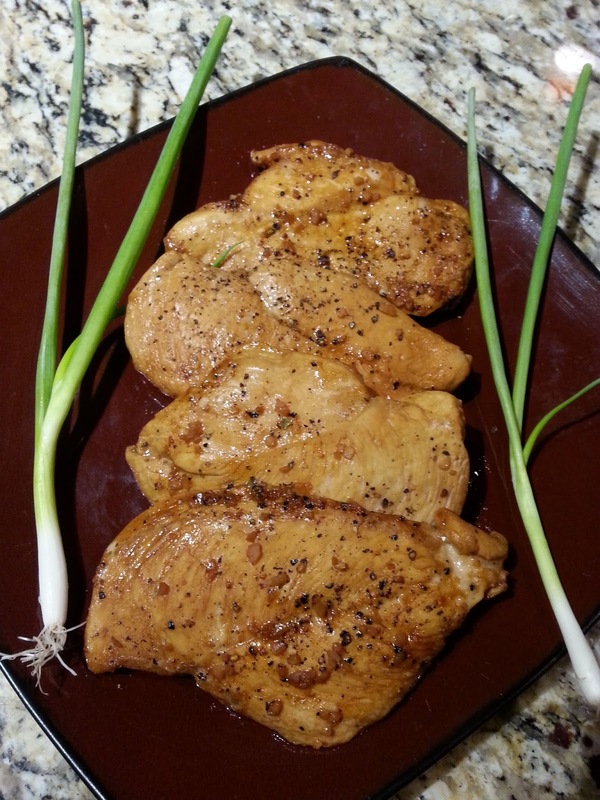 Easy and flavorful recipe for Chicken Teriyaki. In a large bowl, combine teriyaki sauce, sea salt, pepper and garlic. Add the chicken breast, cover and place in the refrigerator. Marinade for 1 to 2 hours. Once ready to cook, heat oil in large skillet over medium heat. Cook about 8 minutes, turning once. Pour leftover marinade in skillet, bring to boil, reduce heat to simmer, cook additional 5 minutes, until chicken is fork tender and no longer pink. The fact that this recipe has basically 4 ingredients is awesome! Perfect for busy people! Love the recipe, Christine. I am following now a days a low carb diet, so I am on the hunt of protein recipes! Thank you for sharing! Glad you like the recipe. Good luck with the hunt. Thanks! Perfect for busy night being so easy!